- Vibrant rose candle, scented with patchouli, olive oil, rose, clove, dragon's blood and lavender. "May love enter my life and fill my heart and soul. May the magic of love always inspire me to radiate warmth and caring to all those who touch my life." 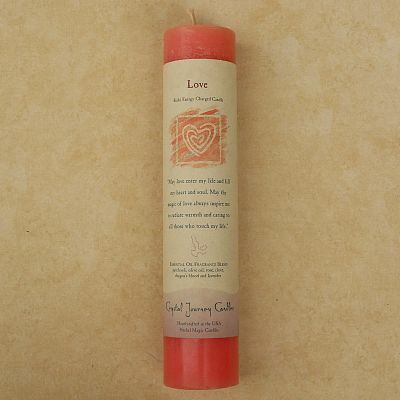 Do you have any other questions about our Reiki-Charged Love Pillar Candle?